The four finalists for the 2018 Swiss Fintech Awards have been announced. Proxeus and VIAC are competing for the 2018’s Early Stage Startup Of The Year award, and Loanboox and PriceHubble are competing for the Growth Stage Startup Of The Year award. 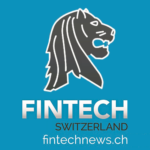 This is the third edition of the Swiss Fintech Awards, a competition that aims to recognize the most innovative startups and influencers in the Swiss fintech space. The four finalists were selected amongst the ten nominees that made the cut in late-December. These cover varied areas ranging from from regtech, insurtech, to blockchain and proptech. FREE PASSES TO ATTEND FINTECH 2018! Win a FREE-pass to attend FINTECH 2018 by filling in this link. 3 lucky emails will be chosen and announced (via email) as winners on 23rd February in our bi-weekly newsletter. Submission closes on the 22nd February, so act now! The Proxeus project started in 2015. The Swiss startup is building a platform that would let anyone create blockchain applications that are affordable and compatible with current enterprises systems. It would enable even non-developers to build decentralized applications. Proxeus has been testing its technology with a series of industry leaders, developing use cases in verticals including trade finance, tokenization of assets, and legal and compliance. VIAC is a mobile application that lets users create a pillar 3a account in an instant. VIAC provides the platform while the pension foundation is provided by Basel-based WIR Bank. There is no minimum investment amount and users can withdrawal their balance anytime. The registration process is done entirely online and takes less than 10 minutes, the VIAC claims. “We want to launch the most flexible and cost-effective third-pillar solution on the market,” said Daniel Peter, co-founder of VIAC. In just two months, VIAC attracted over 2,000 clients and assets in excess of 15 million CHF. Loanboox is a peer-to-peer financing platform that connects public-sector borrowers with institutional investors. Loanboox is only open to verified financial managers, CFOs of public corporations and investment specialists of institutional investors. Loanboox does not charge any fee for using its platform. If financing is arranged, Loanboox charges the borrower one basis point (0.01%) per maturity year of the funding. Transactions are free of charge for investors. In 2017, the company’s platform provided loans totaling 7 billion CHF to cantons and municipalities and banks are already using the platform to exchange liquidity. Loanboox claims 900 users in Switzerland. In Germany, where the platform launched last year, there are already 150 users. The startup is now looking to launch in France. PriceHubble is a proptech startup that develops tools leveraging machine learning and Big Data technology to offer various data-based real estate services, such as online real estate valuations. The company offers solutions for lenders, mortgage intermediaries, and real estate brokers, helping them generate leads, offer advise, and create lasting engagements. It also serves real estate investors, enabling them to take better-informed investment decisions, forecast the future performance of their asset, and identify potential investment opportunities. PriceHubble also caters to other parties in the real estate value chain, such as real estate portals, banks, asset managers, insurance companies.